Author Thomas Sowell challenges many of the long-prevailing assumptions about blacks, Jews, Germans, slavery, and education. 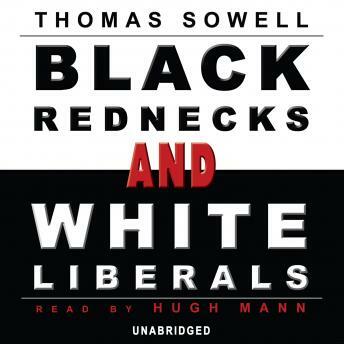 Plainly written, powerfully reasoned, and backed with a startling array of documented facts, Black Rednecks and White Liberals takes on the trendy intellectuals of our times and presents eye-opening insights into the historical development of the ghetto culture that is today wrongly seen as a unique black identity-a culture cheered on toward self-destruction by white liberals who consider themselves "friends" of blacks. What a great book. Thomas Sowell is such a great writer. Absolutely hands down a great book and contribution to humanity!